According to the Texas Department of Transportation, there were approximately 518,577 car accidents reported in the state in 2015. Out of these reported collisions, roughly 246,000 people alleged that they were physically harmed in the accident. That means there is the potential for more than 246,000 personal injury lawsuits, and that’s just in the Lone Star State. When someone is sued as a result of an automobile collision, the auto insurance company for the defendant will typically step in and provide legal representation for their insured. If you were lacking auto insurance at the time of the collision and were sued personally, do not fret. It is still possible to defend against this type of lawsuit. A key issue that needs to be addressed early on is determining whether or not you admitted fault. An admission of fault will make defending your case more difficult since it is viewed as an admission of liability. Some drivers mistakenly admit causing a collision while being interviewed by police. If no admission of liability was provided, do not make any further statement about fault to anyone. You need to let the civil litigation process work and let a jury determine who was at fault. When you are the subject of a civil lawsuit, you may be concerned about the viability of a particular defense or that you will automatically be required to pay a large sum to the plaintiff. It is important to understand that, with civil tort claims, the burden is on the plaintiff to prove their case and submit sufficient evidence to substantiate the claim that you were negligent. This requires proof of four specific elements associated with a tort claim – (i) that you owed a duty of care to the plaintiff, (ii) you breached the duty of care, (iii) the plaintiff was harmed as a proximate result of the breach, and (iv) the plaintiff suffered bodily harm. This means there are four different areas where you can strategically challenge the plaintiff’s claim. For example, if you were involved in a multi-vehicle collision, it could very well have been another driver who initiated the accident, not you. Another potential defense is highlighting the plaintiff’s contributory fault. This is extremely important because, Texas adheres to a modified comparative negligence standard. 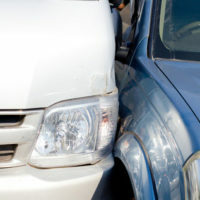 This rule holds that if a plaintiff alleges harm from an auto accident, they are prohibited from recovering monetary compensation if they were 51 percent or more at fault for causing the collision. Furthermore, Texas has adopted a modified joint and several liability standard which holds that a defendant will only be liable for the amount of the plaintiff’s alleged damages if the defendant is deemed to be more than 50 percent at-fault for the collision. If your fault is deemed below 50 percent, you would only be responsible for the amount of damages comparable to the percentage of fault assessed against you by a jury. It is quite possible that a plaintiff’s alleged bodily injuries and treatment were exaggerated in order to amplify the amount of claimed damages in their lawsuit. A common example is over-treatment. This is when someone who went in for treatment of a particular claimed injury, most often a soft tissue injury, and utilized an excessive amount of medical treatment that essentially served no real benefit for the actual treatment of the alleged injury. As you can see, if you are the subject of a personal injury lawsuit, you have viable defenses that can be raised to combat the tort claim. The Brownsville law firm of Colvin, Saenz, Rodriguez & Kennamer L.L.P. is here to assist. Our firm is comprised of skilled and aggressive defense attorneys who possess decades of civil defense experience.